The Grupo Gay da Bahia or simply GGB is the oldest association for the defense of the human rights for LGBTI people in Brazil. Founded in 1980 by Luiz Mott, in the city of Salvador, Bahia, the GGB was registered as a non-profit organization in 1983, and was declared a public service organization of the city of Salvador in 1987. It is a member of the International Lesbian and Gay Association, it forms part of the staff of the International Lesbian and Gay Human Rights Commission, the National Association of Black and White Men Together, and it is a “twin” of the RFSL of Stockholm. Since 1989, it has been a member of the Ministry of Heath’s National Commission to Control AIDS, and since 1995 it has been one of the coordinators of the Secretariat of Human Rights of the Brazilian Association of Gays, Lesbians and Transvestites. Luiz Mott is an anthropologist and historian and founder of Grupo de Bahia. Fondly known as the dean of the LGBTI movement in Brazil, Mott is a leading global thinker and writer on queer rights. 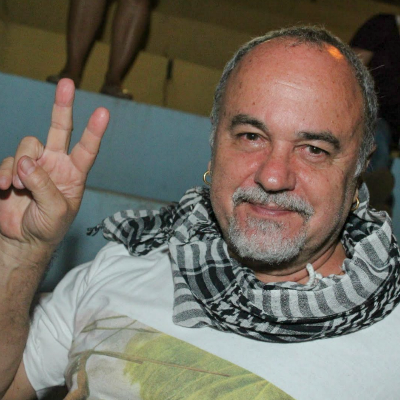 His activism began when he to Bahia in the northeast of Brazil in 1980, “I was punched by a cowardly homophobe as I walked with my boyfriend along a public plaza. I was angry and looked for a policeman in vain. It was this fist that aroused my desire to become a gay militant,” Mott says. “In the early days of the homosexual movement in Brazil, our main efforts were to come out of the closet, found activist groups all over Brazil, fight against institutional homophobia which insisted on labeling us sick and marginal, using vulgar terms to refer to our community,” notes Mott. After founding Grupo de Bahia in 1980 Brazil threw off decades of military dictatorship and the society became more open and accepting of LGBTI people. “In addition to cultural homophobia, which weakens and increases the vulnerability of LGBTI people, we suffer from the government’s current homophobia. From north to south, politicians organize protests of gay pride celebrations and veto the distribution of anti-homophobia kits, which could have enabled more than 6 million young people to respect sexual diversity,” says Mott.